We're back from a whirlwind trip to Berlin, where 'Sonder' had its very successful worldwide debut last week! 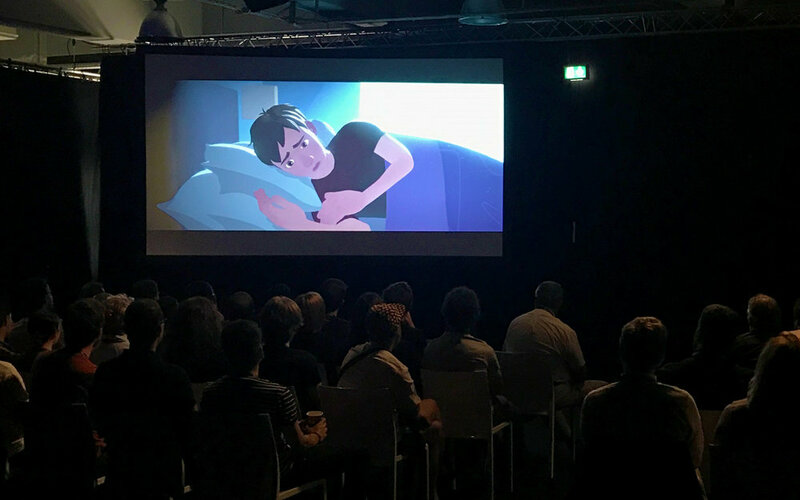 The film screened to audiences for the very first time on Tuesday, June 19th at Unite Berlin, a 3-day conference focusing on animators, game developers, and other creators who use the Unity engine. Sonder is one of the first CG-animated narrative films to use Unity, so we felt this was an ideal occasion for the film's premiere. Nearly 200 people packed the room to catch the screening, which was presented by our writer/director Neth Nom, producer Sara K. Sampson, and lighting and shading tools lead Jean Moreno. Neth, Sara, and Jean took the stage to briefly introduce themselves, and then it was time for the main event. 'Sonder' played on large screens to either side of the stage, giving the overflow crowd multiple ways to view the film. After the screening, Neth returned to the stage to discuss 'Sonder', the development of the script and characters, and the inspiration for the film's mood, look, and sound. Next up was Sara, who spoke about our diverse and far-flung team, our unique pipeline, and the challenges and benefits of using Unity. Then Jean dug deeper into the technical process, explaining the tools and techniques we used to create the film and give it its unique 2D/3D-hybrid look. Before the presentation concluded, the team gave a special shoutout to members of the worldwide Soba Productions crew. This included a video showing behind-the-scenes footage from weekly meetings, sound recordings, and team events over the years, spotlighting many of the incredible people who made the film possible. The event concluded with a few great questions from the audience, on topics ranging from the challenges of bootstrapping a project like this to the origins of the name 'Soba' (a question we get a lot). 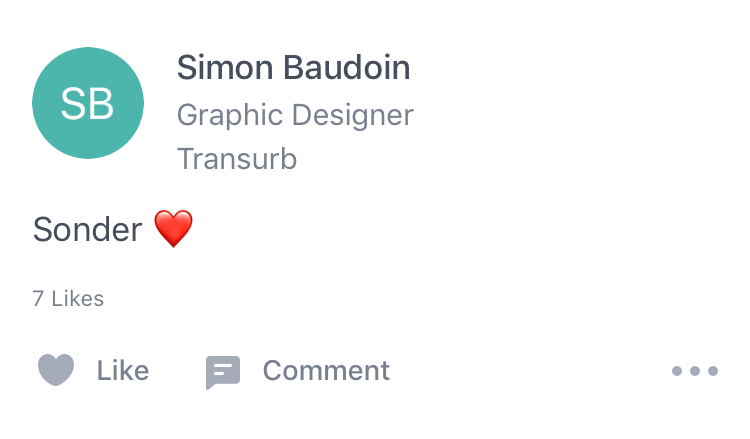 After the session ended, our team decompressed for a bit before heading to the big Unity keynote, where a surprise was in store: 'Sonder' was mentioned twice during the address, even receiving a round of applause from the huge audience. All in all it was a great day for all of us who have worked so hard on 'Sonder', and a perfect way to introduce the film to audiences for the first time. If you couldn't attend, stay tuned for news about where 'Sonder' might soon be screening at a festival or event near you.